The North Island Wildlife Recovery Centre cares for the well-being of Vancouver Island wildlife. 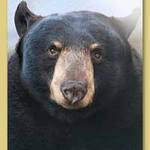 Part of what we do is: Rehabilitation of wildlife, educational programs, guided tours, opportunities to view wildlife, especially raptors and black bears. Errington, V0R1V0, 1240 Leffler Rd.